Category: Souk Collection. Tags: Berber, cushion cover, handcrafted, Morocco, one of a kind. 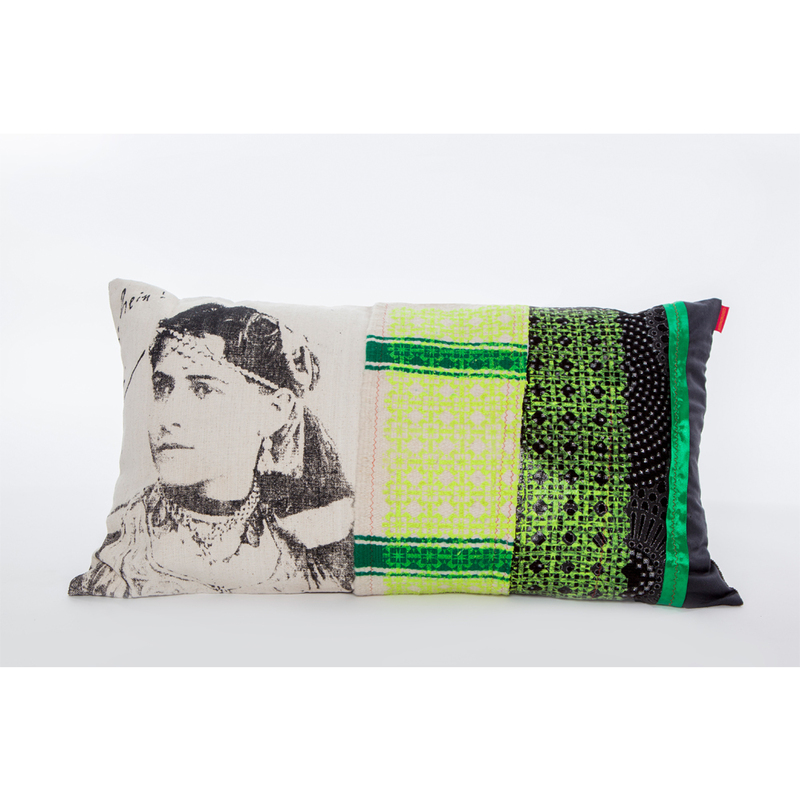 An exotic cushion cover featuring a mix of traditional and modern fabric and ribbon, silk screened henna patterns and the face of a Berber woman. Created by designer Sylvie Pissard and her team of Berber seamstresses in Marrakech, these large cushions work well as chill out cushions on the floor or as a focal point on a bed or sofa. 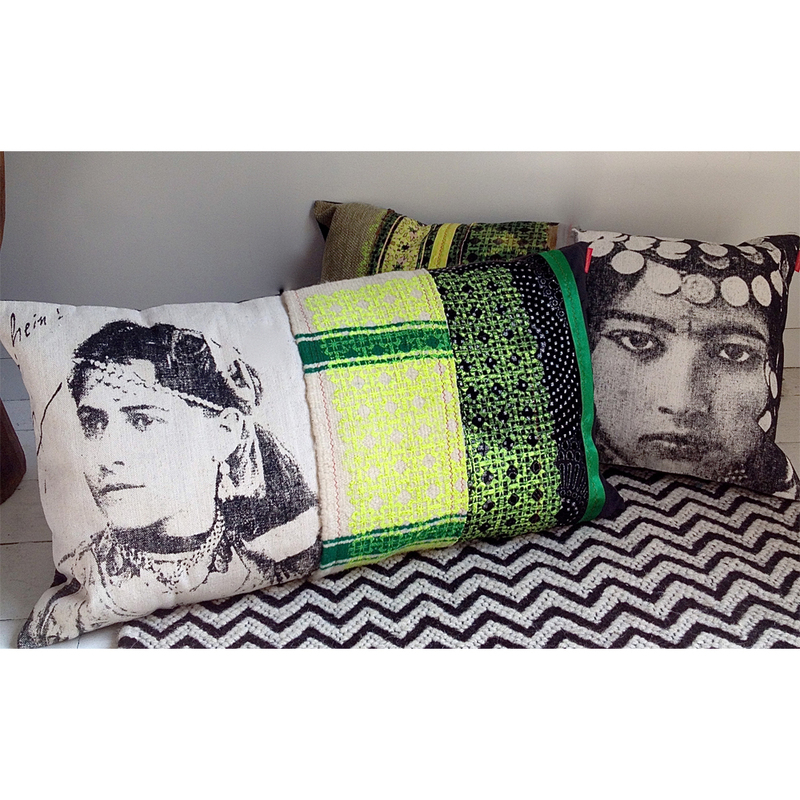 Each Moroccan cushion cover is backed with one colour fabric (colours vary) and has a zip fastening. Please note that this cushion cover is one-of-a-kind. +We ship to the USA, Canada and Australia click here for more information.